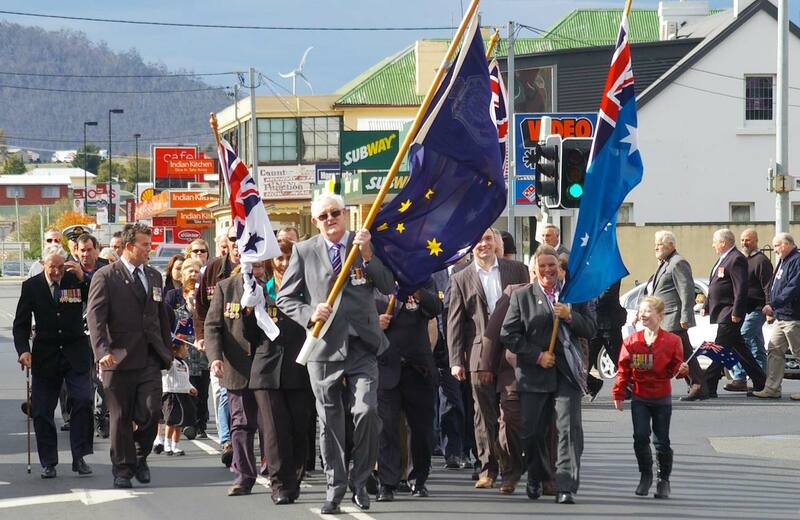 Anzac Day 2013 was again well supported by the people in the south east this year with record numbers attending dawn services and marches across the area in alignment with record trends across the country. In the South East a very special dawn service was conducted at Dunalley under a flag pole adjacent to the Arthur Highway with a breaking sunrise over the eastern end of the Canal. Welcomed by Steve Dobson president of the RSL Dunalley sub-branch, proudly wearing his service medals along with affiliate member Judy Young both thought their medals had been lost in this year’s terrible fires. They were later found amongst the ashes and have been restored; Judy displayed her father’s medals proudly.